Self Care Week is observed between 12th – 18th November all over the world, to raise awareness about how people can take care of their own health. Typically, caregivers of individuals with special needs put the well being of their wards before theirs. They are constantly overworked with various aspects of supporting and caregiving. Eventually, caregivers reach a point where they begin to completely ignore their own needs. Prolonged neglect of the self could lead to burn-out and a variety of mental health issues. This, in turn, impairs their ability to be an effective caregiver. 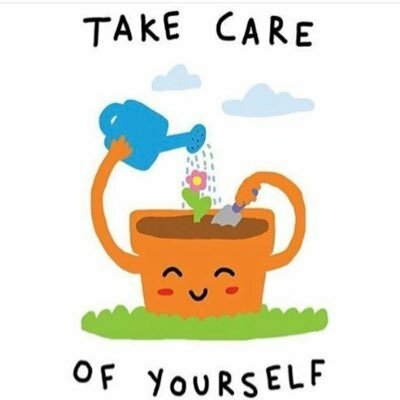 Hence, Self Care, in the context of caregivers takes on a deeper meaning. Self-care is about keeping one’s own well being – be it physical, mental or emotional – also on the list of priorities. Adding some “me time” helps you rejuvenate. Only if YOU are as well as you can be, all things considered, can you provide care to the best extent possible. This by no means indicates that you add more pressure to your time and work. At the heart of self care is kindness to the self. It is only a loving reminder that your own well being is equally important, if not more. And there are ways in which any caregiver can do this for themselves. Support Groups: Look for support groups, in-person or online. Interact with others facing similar challenges. This peer group could help you feel supported, connected, and provide relief, as you share your difficulties with those you can relate to. These groups help you realize that you are not alone. They help you build the confidence that you will find a way. Some of the parents we work with have found such groups to be extremely helpful. Find a list of such groups at the end of this post. Professional Support: Therapy or counselling can help you manage your fears and anxieties. There is no shame in seeking professional help. Seek out a therapist or counsellor who can help you work through specific challenges and issues you face as a caregiver. Support Closer Home: Catching up with friends and close family you enjoy spending time with is a great way to destress and show yourself some love. Find relaxation and pleasure in doing activities you enjoy. It can be as simple as a stroll along the beach or dining in your favorite restaurant. The more relaxed you feel, the more patient, caring and proactive you can be as a caregiver. Pick up a hobby that makes you feel happy and work on it. Consciously try carving time for it. Once a month is also great. This can help you feel connected to yourself. Care for your body, go for a run or choose a workout routine. You could also try having a wish list of activities you would like to do. Pick one when you unexpectedly find yourself having some free time! Mindful meditation can help you slow down and be in the present moment. Even 5 to 10 minutes of meditation a day can be a great stress reliever. You could make use of guided meditation apps or audios designed specifically for this purpose. Try bringing your attention to something you usually do on autopilot. It can be something as simple as brushing your teeth, driving, eating, or performing your morning routine. This too is a form of meditation! Self-care is critical for caregivers of children with special needs. Practicing self-care in small doses and as often as possible, can enable you to be a better advocate for your child. Incorporating a few of these self-care ideas in your day will help you in the long-run. SCAN – An Indian based parents support group. I am a single parent of Sparsh my 20year old son who is presently non-verbal and in the autistic spectrum – why I say presently is because no human has seen beyond the moment – we live in Kochi, Kerala and have been here since 4years. One thing that helped / helps me tremendously is Chanting The Maha Mantra – Hare Krishna Hare Krishna / Krishna Krishna Hare Hare / Hare Rama Hare Rama / Rama Rama Hare Hare – which I do everyday – it not only has helped me but helped Sparsh calmed down as well (I get Sparsh to write 2 pages of The Maha Mantra everyday) No-one helps as much as GOD Helps – Seek to understand from GOD and you’ll find yourself being thankful every moment of your life for all that you have in your life. Christians / Muslims / Buddhists can also do The Rosary / Zikr / Chant on beads – a bona-fide Spiritual Practice along with a simple to the point Prayer helps more than anything else.